White seabags is a very popular target species to catch on the Pacific coast of the United States (especially Southern California). We have compiled a few videos on how to cook white seabass as a part of an article series (cook your catch) that we hope helps you spend more time fishing and enjoying your catch with your family and friends. The video below posted on Youtube by "Headshake TV" is a great tutorial on how to fillet your white seabags. He even shows you how to get the otoliths (these are fish ear bones that many scientists use to age fish). Its kinda random for cleaning a fish but its still pretty cool, you should check em out. Take a look at the video below for a mouth watering recipe to cook your white seabass. This video was put together and posted on Youtube by "The Sporting Chef" which features Chew Tommy Gomes. Below is another video by Chef Tony Gomes posted on his channel " Cooking Seafood With Tony Gomes" . This video features a simple white seabass taco. Below is a great catch and cook episode (our favorite). This video was posted by "FishermensBellyChannel" on Youtube. This is a great step by step video to grilling up your white seabass. Videos are excellent for learning how to cook your favorite fish. They say a picture is worth 1000 words well with a video you can pause the thing, replay it, screenshot it, and more. So add a few zeros to that. Below we have compiled video recipes from around the web for your favorite SOCAL target fish species. Each article starts out with a video that shows you how to clean the fish and then gets into the meat of how to saute it, grill it, or make it into sushi, poke, curry, etc... depending on the fish. We hope that you enjoyed this article, which is a part of a series of articles on how to cook your catch. We created this article as a part of our mission to help you spend more time fishing. It is a great way for your to share your passion with your family and friends! 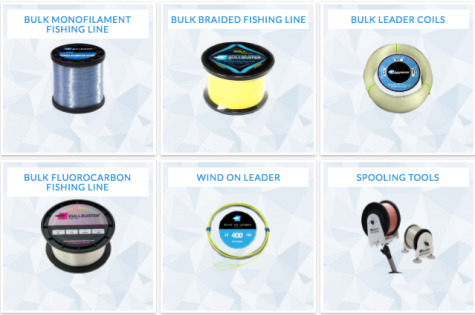 If you have a commitment to spending more time fishing become a member of bullbuster.net and be sure to save your time and money by ordering your fishing lines brand direct directly from our factory. Recipes For Mutton Snapper - Mutton snapper is a great tasting snapper with a good amount of meat on each fillet. Recipes For Yellowtail Snapper - One of our favorite fish to eat. Yellow tail is also easy to cook, especially with the recipes we have for you. Recipes For Swordfish - Swordfish is more like steak than fish and it is best cooked on the grill. Check out the recipes we compiled for you. Recipes For Cobia - Cobia is another unique, but awesome tasting fish. Learn how to cook it by clicking on the link. Recipes For Mahi - There are so many ways to prepare mahi. Check out a few by clicking the link. Recipes For Redfish - Check out the best Cajun recipes for redfish. Recipes For Snook - This fish tastes so good they put a ban on commercially harvesting it. Find out why in your own kitchen. Recipes For Sea Trout - For sea trout the less you do the better. Recipes For Wahoo - Wahoo is a very light tasting fish and makes one heck of a sashimi.